This modern property is finished to a very high standard and includes 10 large double beds and 6 bathrooms! 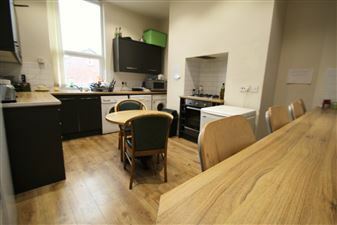 A modern fully fitted kitchen, a spacious lounge, fantastic furnishings and decor throughout. Houses of this standard in this location don t hand around long! 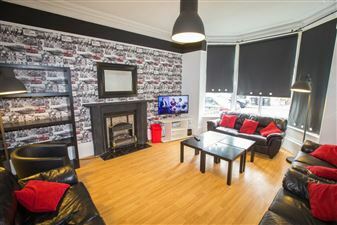 Recently refurbished, this is a monster of a property in the centre of Headingley with 10 spacious double bedrooms, large social living room with laminate flooring and leather sofas and not one but two kitchens (one a super dining kitchen with bonus dining area). With plasma TV. Spread over two adjacent units, this is a great option for a large group with nine double bedrooms, fitted furniture, two living rooms, new carpets, two fitted kitchens and numerous bathrooms and toilets. 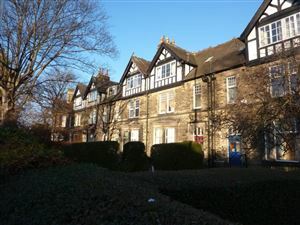 Smack in the middle of Headingley and just a short walk to Becketts Park.